Ryo Akiyama – Interactive Media Design Lab. Ryo Akiyama received his B.E. 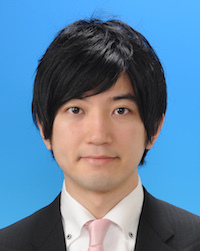 degree from Doshisha University in 2015 and his Master’s Degree from Interactive Media Design Laboratory of Graduate School of Information Science at Nara Institute of Science and Technology (NAIST). Currently, he is continuing his studies as a doctoral degree student in the same laboratory. His research field is spatial augmented reality.